We are a small chapter. That does not stop us from putting the miles on our Ministry. Hippie did 10,640 miles last year it was a 2 month trip called “sea to shining sea” . Woody and Susan travel all over the USA. If there is a Bike Rally they well be there. 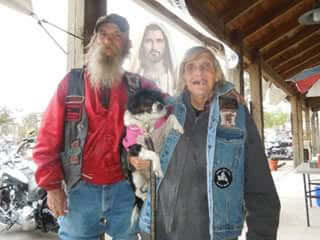 Debby is some what of a quiet homebody with a passion for the homeless. We all have the passion to share Jesus. Myrtle Beach Bike Week is a big event for this area. We set up at the Harley Davidson shop this well be our 5 th year. It is a great week of sharing and passing out bibles. It is also a wonderfull time of fellowship with other HSMM chapters. It does not stop there we have done car shows,Hippie speaks at different venues. Churches and gatherings Barry Mayson was Hippie’s Mentor. Traveling as Barry’s roaddog for many many years. There was a guy recently told me that Hippie is a professional Harley Rider. 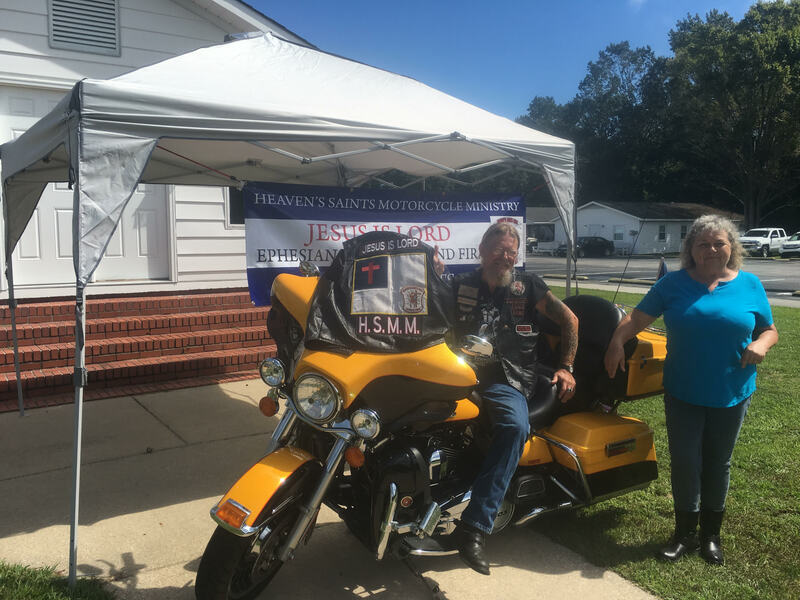 He does love to ride but reaching out to people and telling them about the saving GRACE of JESUS is what MB chapter is all about.